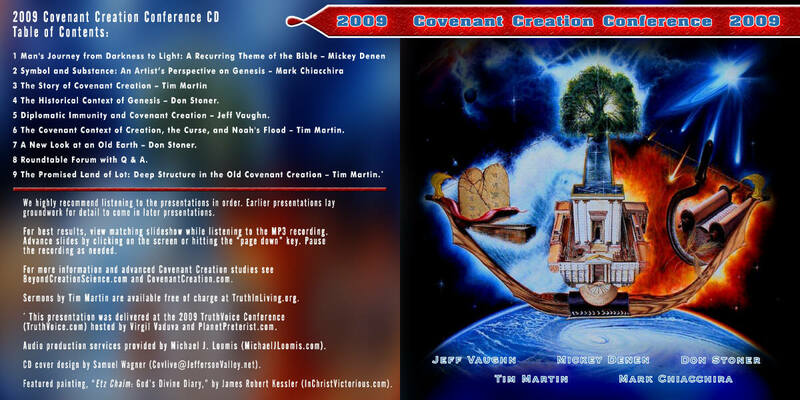 2009 Covenant Creation Conference Audio Recordings CD complete with a heavy card-stock print of James Robert Kessler’s painting "Etz Chaim: God’s Divine Diary." This product includes a CD with the recordings of all sessions in MP3 format, slide shows from each of those presentations in PDF format, combined with an 11 x 17 print of "Etz Chaim: God’s Divine Diary" suitable for framing. This painting, completed b James Robert Kessler, is designed to visually represent the Covenant Creation paradigm in full color. The price for this complete product is $20.00 postpaid. 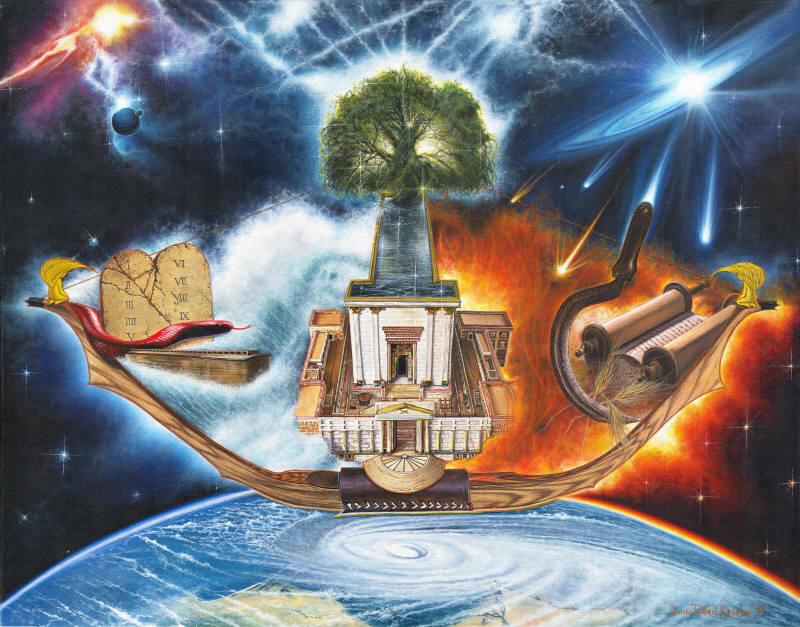 "Etz Chaim: Godâ€™s Divine Diary"
This print of James Robert Kessler’s latest masterpiece, "Etz Chaim: God’s Divine Diary" is suitable for framing and display. Printed on 11 x 17 heavy card-stock, this print produces a durable, long-lasting picture that is sure to spark conversation and discussion about the covenant story of Scripture. Price is $15.00 postpaid. Contact us for quantity discounts.